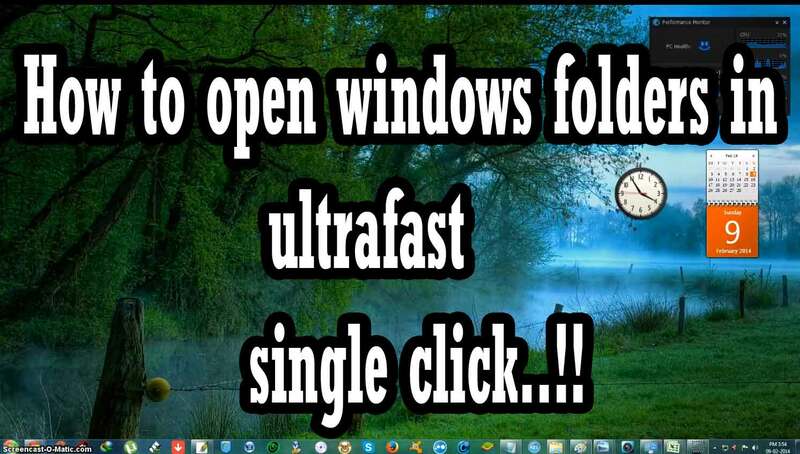 Home Top posts, Windows How to open folders in windows 7 pc in a single click Ultrafast ! This video shows how to open folders in windows 7 pc in a single click. Now i can do everything in my workstation in a much faster way…! To Watch Full HD quality tutorials from FixeggHD youtube channel Enter here.Enjoy best quality windows tutorials daily..!! 3.Select single click to open an item.